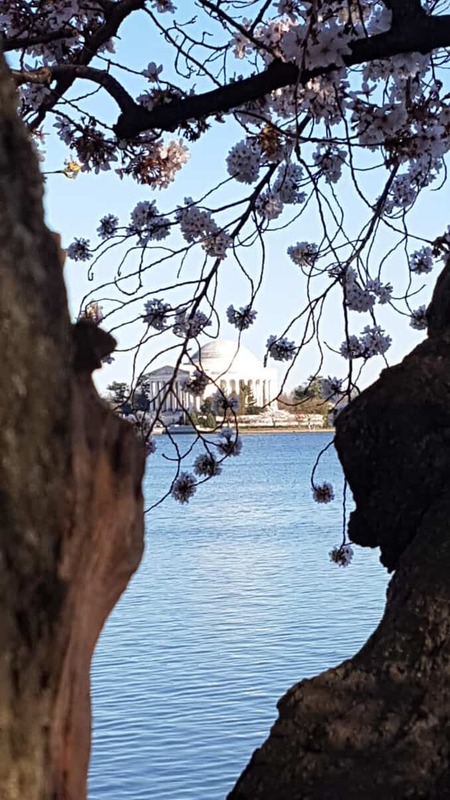 Here are some great photos of 2017’s bloom of the cherry blossoms that were submitted by Cherry Blossom Watch readers. Part 2. Thank you to everyone who has submitted photos this year. There are some really beautiful shots! Hundreds of photos have been submitted. Unfortunately, I can't post all of them. But here's another selection to follow on from part 1 yesterday. The final installment will post tomorrow. This wasn't the best year for DC Cherry Blossoms. But it's beauty is still worth capturing! I'll be on look out for the Kwanzan Cherry Blossom updates. Thank you so much again for all the information and photos you have shared with rest of us!!! Can't stop looking at Derek Bierd's Red Cardinal and Debbie's cherry blossom frame of the Jefferson. So glad you are posting these! Thank you so much for all your updates. This was my first time in D.C. during the Cherry Blossom season, and your regular & detailed updates really helped in planning our trip. Thanks also for posting one of my photos here. I've been following your website for 2 years now and really appreciate everything you do! Really beautiful shots. This is why spring has always been my favorite season of the year since I've been in D.C. Kudos to everyone! Although i was there in DC almost to the end of the Peak bloom of the cherry trees from April 1 to 4 still i was with great awe of the beauty that i really expect from the " Cherry Blossom Tree" watching them up close and personal. Each Tree has it;s own regal beauty that you can't help but admire and love. I still felt it was SAVE THE BEST FOR LAST FOR THE VISITOR'S like me. Thank you Mother Nature and all the people who take care of those trees and the original giver to Japan.